DAVID LE/Staff photo. 2/11/15. 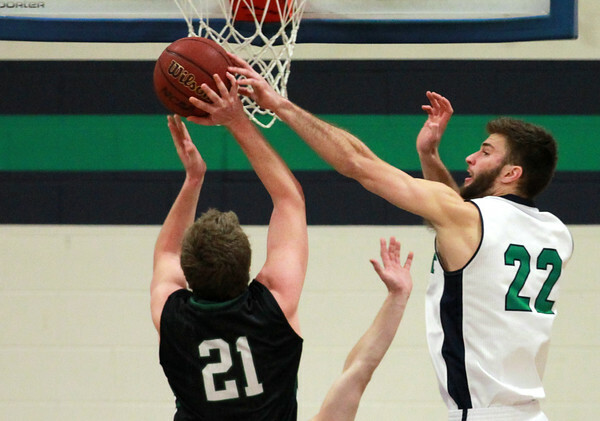 Endicott College senior captain Andre Makris (22) blocks a layup attempt from Nichols senior captain Matt Langadas (21).